At Gunther Volkswagen we are committed to creating a win-win relationship for the mutual benefit of our customers, employees, and community. All of our efforts and products are designed to meet this end result. We are committed to exceeding our customer’s expectations. Our location and state of the art facility is only the beginning of the great customer care you experience at Gunther Volkswagen. Scores 36 Highway MPG and 25 City MPG! This Volkswagen Passat boasts a Intercooled Turbo Regular Unleaded I-4 2.0 L/121 engine powering this Automatic transmission. ROADSIDE ASSISTANCE KIT -inc: booster cables, warning triangle, LED flashlight, multi-tool, work gloves, PVC tape, blanket, poncho, whistle, cable ties and bandages, MONSTER MATS RUBBER MATS KIT (SET OF 4) -inc: heavy duty trunk liner w/VW CarGo blocks, DEEP BLACK PEARL METALLIC. * This Volkswagen Passat Features the Following Options *CORNSILK BEIGE W/BROWN, PERFORATED V-TEX LEATHERETTE SEATING SURFACES, Window Grid Diversity Antenna, Wheels: 18 Chattanooga Alloy, Wheels w/Silver Accents, Variable Intermittent Wipers, Valet Function, Trunk Rear Cargo Access, Trip Computer, Transmission: 6-Speed Automatic w/Tiptronic, Transmission w/Driver Selectable Mode. 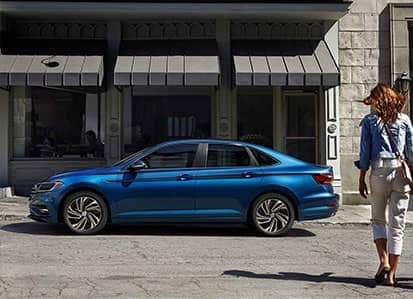 * Stop By Today *Come in for a quick visit at Gunther Volkswagen of Fort Lauderdale, 1660 S State Rd 7, Fort Lauderdale, FL 33317 to claim your Volkswagen Passat! Boasts 23 Highway MPG and 17 City MPG! This Volkswagen Atlas delivers a Regular Unleaded V-6 3.6 L/220 engine powering this Automatic transmission. ROADSIDE ASSISTANCE KIT -inc: booster cables, warning triangle, LED flashlight, multi-tool, work gloves, PVC tape, blanket, poncho, whistle, cable ties, bandages, PURE WHITE, LUGGAGE NET. * This Volkswagen Atlas Features the Following Options *GOLDEN OAK/BLACK, PERFORATED VIENNA LEATHER SEATING SURFACES, Window Grid Diversity Antenna, Wheels: 20 Mejorada Alloy, Wheels w/Silver Accents, Vw Car-Net Selective Service Internet Access, Valet Function, Trunk/Hatch Auto-Latch, Trip Computer, Transmission: 8-Speed Auto w/Tiptronic, Transmission w/Driver Selectable Mode. * Stop By Today *Treat yourself- stop by Gunther Volkswagen of Fort Lauderdale located at 1660 S State Rd 7, Fort Lauderdale, FL 33317 to make this car yours today! Scores 23 Highway MPG and 17 City MPG! This Volkswagen Atlas delivers a Regular Unleaded V-6 3.6 L/220 engine powering this Automatic transmission. SHETLAND BEIGE, PERFORATED VIENNA LEATHER SEATING SURFACES, RUBBER MATS KIT - CAPTAIN'S CHAIRS -inc: set of 4 Monster Mats w/logo, Heavy Duty Trunk Liner w/VW CarGo Blocks, ROADSIDE ASSISTANCE KIT -inc: booster cables, warning triangle, LED flashlight, multi-tool, work gloves, PVC tape, blanket, poncho, whistle, cable ties, bandages. *This Volkswagen Atlas Comes Equipped with These Options *2ND-ROW DUAL CAPTAIN CHAIRS PACKAGE -inc: Two bucket seats w/fold-down armrests in place of standard 2nd row 3-passenger bench seat, 2nd Row Captain's Chairs , LUGGAGE NET, DEEP BLACK PEARL, Window Grid Diversity Antenna, Wheels: 20 Mejorada Alloy, Wheels w/Silver Accents, Vw Car-Net Selective Service Internet Access, Valet Function, Trunk/Hatch Auto-Latch, Trip Computer. * Visit Us Today *For a must-own Volkswagen Atlas come see us at Gunther Volkswagen of Fort Lauderdale, 1660 S State Rd 7, Fort Lauderdale, FL 33317. Just minutes away! Boasts 23 Highway MPG and 17 City MPG! This Volkswagen Atlas delivers a Regular Unleaded V-6 3.6 L/220 engine powering this Automatic transmission. TITAN BLACK, PERFORATED VIENNA LEATHER SEATING SURFACES, RUBBER MATS KIT - CAPTAIN'S CHAIRS -inc: set of 4 Monster Mats w/logo, Heavy Duty Trunk Liner w/VW CarGo Blocks, ROADSIDE ASSISTANCE KIT -inc: booster cables, warning triangle, LED flashlight, multi-tool, work gloves, PVC tape, blanket, poncho, whistle, cable ties, bandages. * This Volkswagen Atlas Features the Following Options *2ND-ROW DUAL CAPTAIN CHAIRS PACKAGE -inc: Two bucket seats w/fold-down armrests in place of standard 2nd row 3-passenger bench seat, 2nd Row Captain's Chairs , REAR BUMPER APPLIQUE IN CHROME, PLATINUM GRAY METALLIC, LUGGAGE NET, ALTERNATE FRONT GRILLE -inc: Non-US market VW OEM front grille (in place of stock US market grille), Window Grid Diversity Antenna, Wheels: 20 Mejorada Alloy, Wheels w/Silver Accents, Valet Function, Trunk/Hatch Auto-Latch. 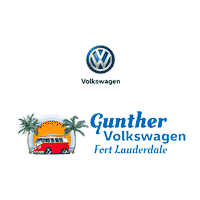 * Visit Us Today *Live a little- stop by Gunther Volkswagen of Fort Lauderdale located at 1660 S State Rd 7, Fort Lauderdale, FL 33317 to make this car yours today! All advertised prices exclude government fees and taxes, any finance charges, any dealer document processing charge, any electronic filing charge, and any emission testing charge. Offer cannot be combined with any other offer, promotion or advertisement, online or in print. Offer cannot be combined with VCI Special APR financing or VCI special leasing programs. Discounts include manufacturer incentives, not everyone will qualify, please inquire with dealer for details. We appreciate your interest in our inventory, and apologize we do not have model details displaying on the website at this time. Please fill the form out below and our team will quickly respond, or, please call us at 954-797-1660 for more information.